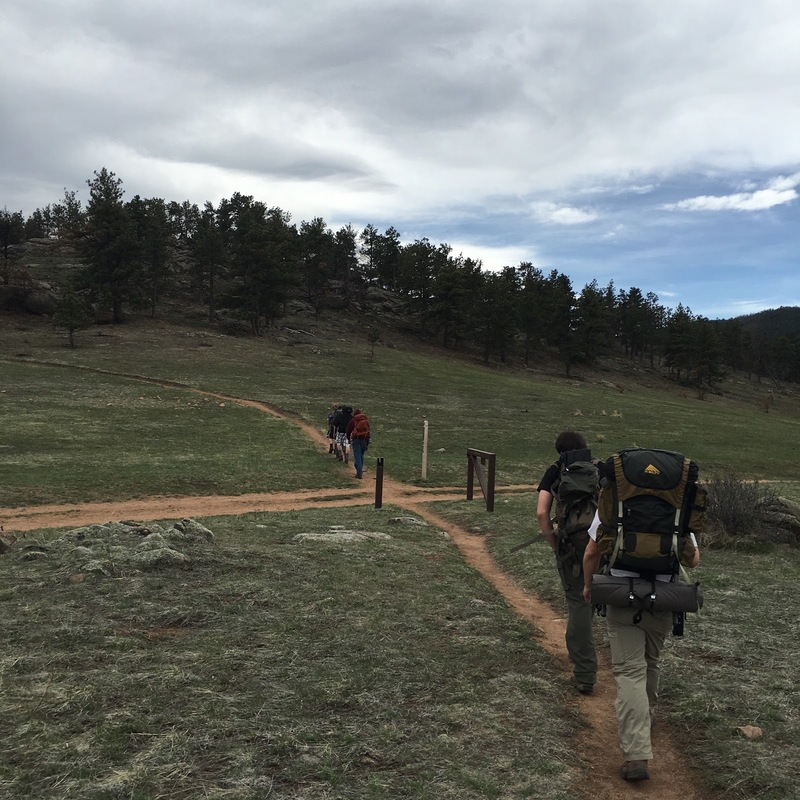 Our troop was selected to participate in the Philmont Trek this June. 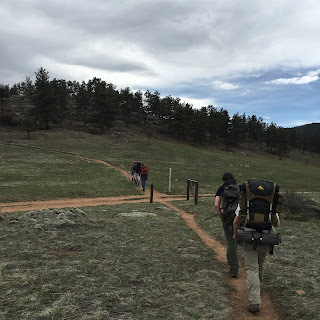 I've been to Philmont before, so I have a good idea what to expect. The part that scares me the most, is that our trek is scheduled for early June. With May being a busy month for graduations, confirmations, track meets, and school finals, it will make it hard for our crew to be completely ready. This spring has been difficult with the weather as well. The Denver area keeps getting spring snow storms. Although the snow melts quickly here, it seems to snow on the weekends when we need the time to do practice hikes. We were able to get out to the trails this past weekend. We went up to Halls Ranch near Lyons, CO. There is a 10 mile loop. We had 7 crew members with us. One of the boys decided weight was important. Which I could not disagree. He put two 25 pound weights and a 10 pound weight in his pack. If we add in all the other stuff he was carrying, we think he got up to 70 pounds. Well by the time we hit mile 2, 35 pounds needed to be shifted to other packs. The 10 miles was good. No one complained about blisters. So I'm feeling the boys will do well. They all should be walking and working out over the next 7 weeks before we go down to Philmont. Like anything... preparing and conditioning your body is going to be a key to a fun and successful trip.